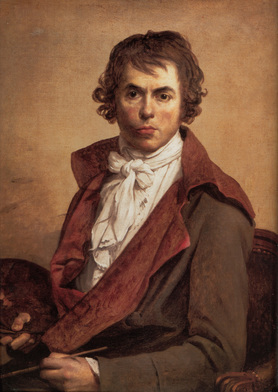 Jacques-Louis David was a 19th century painter from France who developed a style of history painting known as the Neoclassical style. 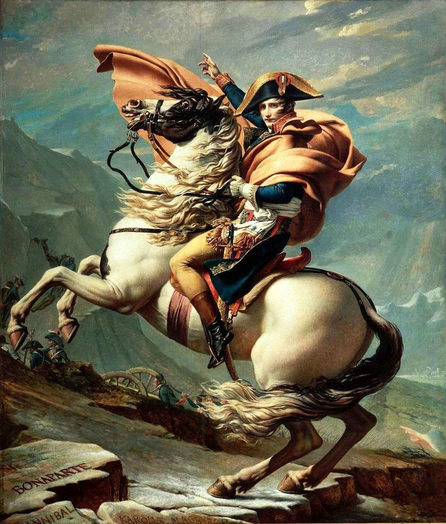 Our painting of the week is ​Napoleon Crossing the Alps by David. As a young person, David was determined to be an artist. Instead of concentrating on his schoolwork as he should, he was always drawing. He covered his notebooks with drawings and once said, “I was always hiding behind the instructor’s chair, drawing for the duration of the class.” He overcame his family’s push for him to become an architect and instead became a student of a successful painter. David tried for four years to win an award that paid for a student to study painting in Rome. He finally was successful the fifth year he tried for the award. While on his Rome trip, David filled twelve sketchbooks with drawings that he used as models for the rest of his life. David painted in the Neoclassical style. 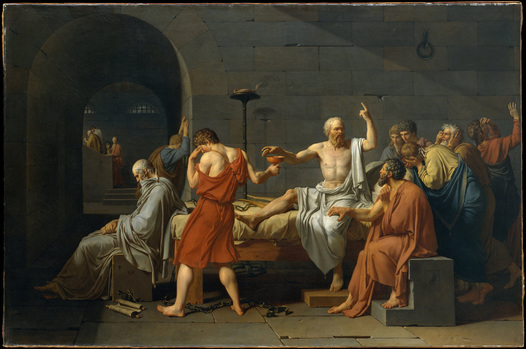 Neoclassical paintings were serious, unemotional, and sternly heroic. 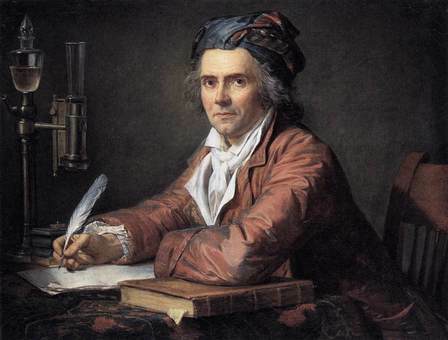 Neoclassical painters depicted subjects from Classical literature and history, as used in earlier Greek and Roman art. 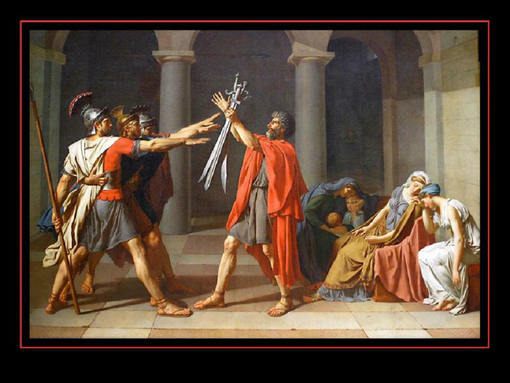 Many of the paintings depicted stories of self-denial and self-sacrifice. 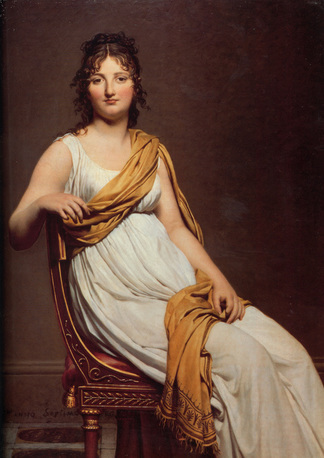 Neoclassical art became the signature style of Napoleon in France and of the American Revolution. 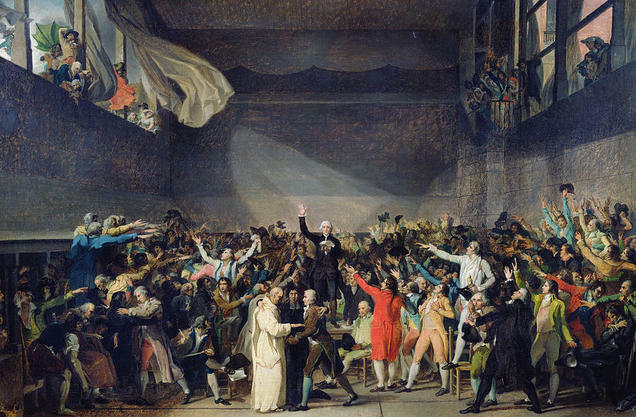 David was an artist who participated in the politics and power plays of his time. 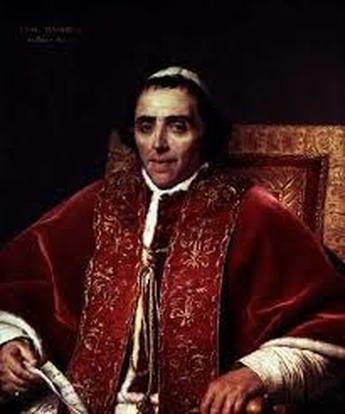 He was part of the ruling body during the French Revolution. 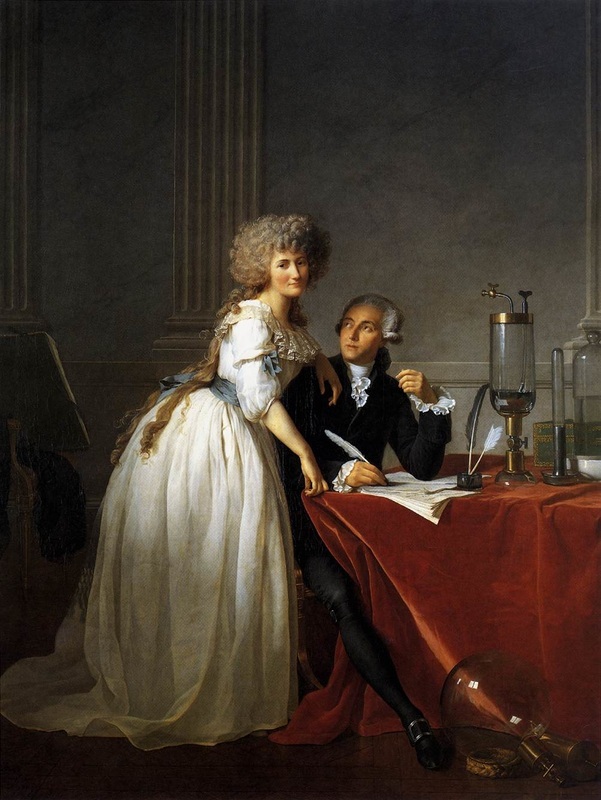 The painting, The Emperor Napoleon in His Study at the Tuileries, was commissioned by a Scottish duke to try to win favor with France and Napoleon. Details within the painting show Napoleon’s power as a ruler. These symbols include a map partly unrolled on the floor, a sword propped in the chair, and a lion finial of the desk, Note the letter “N” carved into the legs of the desk. 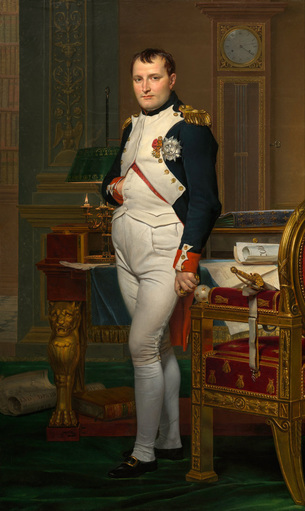 The portrait was considered to be an excellent likeness and influenced many other portrayals of Napoleon. The hand tucked in the waistcoat gesture was thought to show self-control. 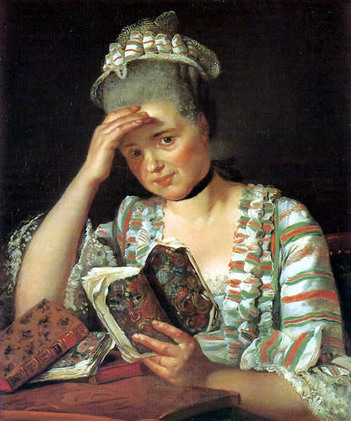 This pose became a trademark for Napoleon. 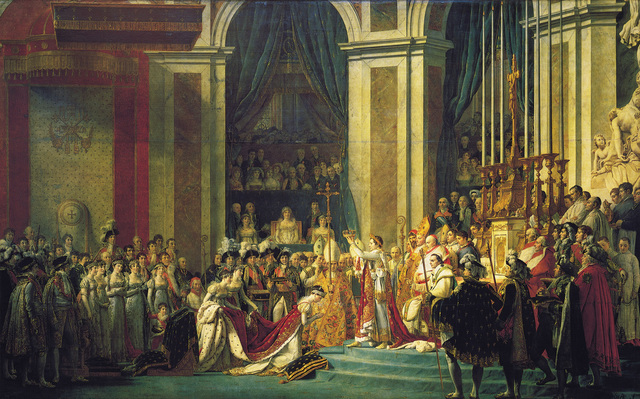 Napoleon commissioned David to paint a huge canvas (20 X 32 ft.) that would show the emperor’s coronation in Notre Dame Cathedral. It shows Napoleon’s coronation as being very majestic and the emperor as powerful and important. The painting now hangs in the Louvre.